A lot of things are happening with me (Cailin) and Travel Yourself right now so here are a few updates! 1) I have been asked to be a writer/blogger for CheapOair’s new Canadian website CheapOair.ca with Candice Walsh that launched just last week. We will be writing posts on everything Canada related and there may be a few videos popping up there, be sure to check it out! 2) The Nomading Film Festival is quickly approaching on June 18th in Brooklyn, New York. The deadline for submissions is April 30th 20011. Anyone and everyone can submit their travel related video with a chance to win the grand prize of a trip to India with Intrepid travel! I will be submitting a couple films (thats the plan) and I am specifically making one that I want to create in collaboration with all of you! Check out my newest post regarding that HERE. 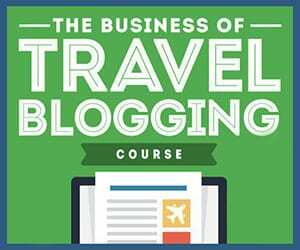 3) Some travel buddies of mine Michael Tieso and Stephanie Yoder have started a great new site called the Art of Travel Blogging “Art of Travel Blogging is a resource of information for those looking to start a travel blog or already have one. It’s for both beginners and experts” If that’s your kind of thing you should definitely check it out! 4) I just got back from a short weekend trip to Newfoundland, stay tuned for some hilarious videos from that trip and if the stars align I will be headed to England on March 23rd with plans of attending TBU in Manchester and doing some traveling. Let me know if you will be in the area! Congrats on CheapOair! And please if you cover Toronto don’t say go to St.Lawrence Market, I hate how Toronto posts are the lamest things that the locals never do.